Our beautiful Candy Ride filly also has Saratoga in her blood! 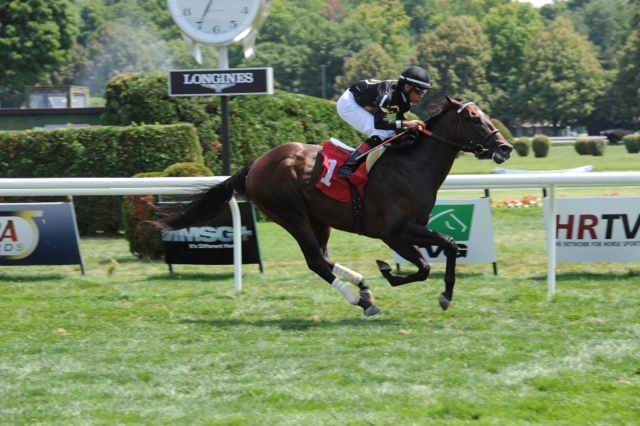 We expect her to run just like her 4yo half brother, an impressive winner at Saratoga in 2014. With the style of her 3yo brother who's another impressive winner at Saratoga! So like I said, Satisfy has a lot to live up to but with her background she should also put her stamp on this family with her own classy race record. And when it's time to cash in, you'll reap the rewards of a very well managed family who lights up the pedigree page when it's time to go to auction. Fillies have great residual value one their racing career is finished. Satisfy will be trained by Bill Mott who is training her two very talented siblings! Contact us to get more information on this fabulous filly!